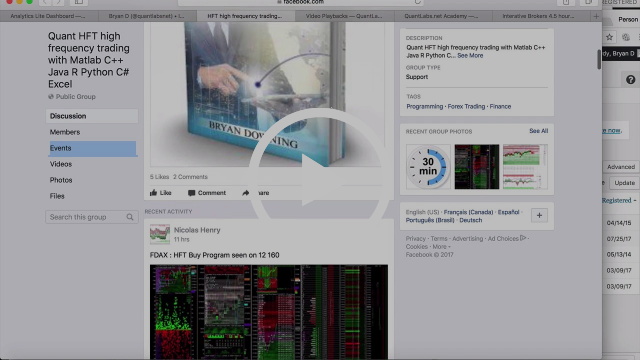 This entry was posted in Forex, HFT High Frequency Trading and tagged documentary, ForEx, programming, system: HFT, trading on July 26, 2017 by caustic. This entry was posted in HFT High Frequency Trading and tagged documentary, Inside black box, money, speed on July 9, 2017 by caustic. This entry was posted in Forex and tagged best, documentary, ForEx, FX, London, traders on October 3, 2016 by caustic. This entry was posted in Stock News and Tips, Trading and tagged Black Wednesday, documentary, drop, stock market on September 9, 2016 by caustic. I have been watching various documentaries on vehicles. One of the most popular is how people want to be hedge fund manager wannabees. For those that don’t know, the hedge fund industry has been under siege with its worst performance meanwhile being the highest fee structure on the planet. It seems most pension funds are putting their money into ETFs which are fairly cheap with decent performance. So what are you to do if your perceptions of hedge funds ate wrong? For modern traders, everyone is piling into automation via cloud solutions which I’ve talked about numerous times. Others are taking control to learn about automated trading on their own. This means they have the ability to control their own infrastructure which means they’re not dependent on any third parties. For those that choose this path, it is the ultimate control of their final destiny. Why do you think I created this website called quantlabs.net? Over the years, I’ve noticed many people struggle getting over the finish line to fully understand the complexities of trading platforms. In late 2015, I decided to give Python a real try of accomplishing this task versus other complicated programming languages. If you follow me since that time, you fully understand the approach that I’ve taken with my Algorithm Trading Course Series that I launched in the spring. Do you remember that this includes a course on a basic algorithm trading building block infrastructure with your first strategy based on equity pair trading/arbitrage. That strategy was removed in July since it was so valuable for those that took the course. Well here we are on the verge of the second strategy focusing on both futures and options. This 23 week course focuses on the fundamentals to properly analyze the markets. As usual, I provide all the source code you need for both Python while adding some C++ for more advanced software developers. This is most likely the only resource where you get all this info. So once again you have absolute full control of this destiny as we move into a market environment of uncertainty which could negatively impact our lifestyle today. Start learning now as all this course material is made available today. Grab 3 free months worth $300 with a semi-annual membership today. This is a great chance to get 12 free months right now. Take an annual membership and save up to $1,200. If you have any questions or comments about any of this, just email me and I’ll get back to you ASAP. This entry was posted in Hedge Fund and tagged documentary, hedge fund, Recent, trader on August 28, 2016 by caustic. From the studios of National Geographic, I can tell you that this will be an excellent video documentary that you should watch. From all the people in our community, everyone wants to be influenced by the real Wolf of Wall Street. You may want to watch this to understand how much of a scumbag thieves these guys can be. Coming up on Tuesday Aug 30, not the usual Monday, I will be presenting the C++/Python library that can be used for all my futures and options strategies I’ll be showcasing over the next 23 weeks. This entire algorithm course will contain coding samples throughout each week. The big advantage of this is the interactive live chitchat we all learn from these. I have done quite a few this year already and people seem to value what is taught in these. The last part is that you should know, this will be my last live training in this area. It is especially true when it comes to technical programming as I am slowly transitioning into a data analytics service within a few months. It really just depends upon the progress of my trading system. If you are interested in learning more about this algorithm training course for automated trading, you need to be a Quant Elite member to participate. This entry was posted in Trading and tagged documentary, real, Wall St, Wolf on August 28, 2016 by caustic. This entry was posted in Trading and tagged documentary, full, real, Wolf of Wall St on August 27, 2016 by caustic. This entry was posted in Hedge Fund and tagged documentary, hedge fund, trader on August 27, 2016 by caustic. This entry was posted in Quant Development and tagged algo, documentary, impact, markets, trading on August 23, 2016 by caustic.